Be very weary of any supplements that claim to help you lose weight. Often with life if you try to take the easy way out, it will only hurt you in the long run. Plus, most of them are not even approved by the Food and Drug Administration. First, make sure to be patient with your weight loss. If you lose 8 lbs per week on the Induction phase and then slow down once you enter ongoing weight loss phase, this is perfectly normal. The level of carbohydrate grams that are acceptable on the Induction portion of the diet are not meant to carry you through the rest of your dieting experience. Induction is meant to break you of carbohydrate cravings and detoxify your body from sugar. Starting with the ongoing weight loss phase, you will begin introducing small levels of carbohydrate grams each week. This may slow down weight loss a bit from the level it was at during Induction, but this is completely normal. Also, people are different and react differently to the diet. Some people lose weight in spurts, and other lose weight more steadily. A plateau can last for a few weeks and then voila, you’ve lost five pounds in a matter of a few days. Make sure you are avoiding caffeine in all of its forms as well as aspartame, a common artificial sweetener. Both of these chemicals can impact blood sugar levels negatively. Look out for caffeine in coffee and diet sodas. Watch out for aspartame in diet sodas and sugar-free gelatin. These can cause cravings for sugar and take your body out of ketosis after just one serving. Watch your daily intake of cheese. Although cheese is on the acceptable foods list, it does have small amount of carbohydrates. Your best bet is to limit your cheese intake to 4 oz per day. You can have more on special occasions, but it should not be used as your mainstay for protein. Meats, eggs and tofu are much better choices and don’t contain carbohydrate grams. Remember to emphasize vegetables during Induction and beyond. Your carbohydrate grams should be primarily derived from leafy, green vegetables and other acceptable vegetable choices. Vegetables fill you up without spiking your blood sugar. They provide essential fiber and nutrients that help your weight loss efforts and overall health. After induction, you should have 3-4 cups of salad and 1 cup of cooked vegetables each day. Make sure the vegetables you are using are on the acceptable foods list. Eliminating vegetables from your diet can shut down your metabolism and cause your weight loss to stall. It is also very important that you eat regularly while you are on the Atkins plan. Never go more than five waking hours without eating a combined snack of protein and fats. Two things happen when you skip meals. First, you cause a blood sugar drop that will have you craving carbohydrates like bread and sugar. Secondly, continued periods of not eating will slow down your metabolism and make it even harder to lose weight. Finally, make sure you are drinking enough water each day. Water has a myriad of benefits for every human being, not just those on the Atkins diet. Thirst can sometimes be masked as hunger, so staying well hydrated will keep you from craving foods you shouldn’t be eating. Water also helps you avoid constipation, which is an occasional side effect of the Atkins diet. Drinking 8 eight ounce glasses of water per day will also help you flush out the toxins from your system that are produced when you burn fat. These common mistakes can make people frustrated with the Atkins diet when there is no need to be. If you are just starting out on the diet, make sure to prepare yourself for these mistakes. If you’ve been on the diet for some time, evaluate your eating habits and make sure you are following the program correctly. Very strange indeed! You have heard plans for gaining! Here you are thinking about a loss plan! And you are very serious about this loss! You have a loss-sharing buddy, you congratulate each other over the losses you have ‘gained’ in the period under review! Any reduction in the loss is not to your mutual liking! Any weight loss plan that does not take the diet aspect into consideration, is no plan at all! Who are the starred generals in the weight loss plan that are expected to give sterling performances? Of course, the old war-horses! They are: Exercise and Diet! How to get results from the weight loss plan? Whatever methods you use, they must perform two functions—stimulate metabolism which do the job of fat burning and continuously assist you in the process of loss, without intermission! Any plan or any ingredient that is appetite-suppressant without causing any side effects, is suitable for your weight loss plan. It must lessen your struggle with weight on various parts of your body. It must trim the excess fat around the waist and buttocks. Relentless research is going on in this million-dollar weight loss project. 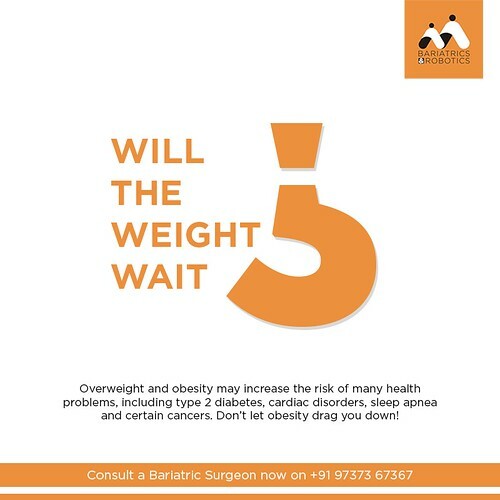 The whole idea is to find sensible and sustainable ways for overweight patients to lose weight, and to maintain that gained position of weight loss over a long period. It is the most frustrating experience to gain weight after so much of trials and tribulations, after having once lost it! The importance of exercises is emphatic. Nobody has ever said- I did exercise and I gained weight! The various yoga asanas and Ashtanga Yoga & Bikrama Yoga are very useful. The overweight and obese specialists emphasize on one thing even after prescribing medication—understand the importance of exercise for all successful weight loss programs. Physical activity is key to staying healthy. You are fat because you are lazy. Now, you are moving in the right direction, because now you know the value of right nutrition. It goes without saying that when you talk about right nutrition, all items of wrong nutrition need to be avoided at all costs. Even for the sake of temptation, those should not be given a chance to enter into your system. They have created enough havoc in the past. Let them take the well-deserved rest now. Keep a careful calorie count. There should be awareness in you about what should be done and what should not! You know what is your problem, you have understood the cause of your problem and therefore you will find the answer for your problem—definitely! Are you having a hard time losing weight with traditional diets like Weight Watchers, Atkins, South Beach or Slim Fast? There is a very real reason why you and thousands of others can not even lose 1 painful pound a week with these plans which we will uncover here and arrive at a solution with How Is Fat Burned Facts for Rapid Weight Loss Results! We are hard-wired to believe by Multi-Million Dollar Weight Loss Companies that in order to arrive at our ideal weight we MUST diet every day of the week, be especially strict on the weekends, sacrifice our favorite foods like cutting out all carbohydrates and told that it is not healthy to lose more than 2 to 3 pounds per week. Not to mention that they want you to purchase their prepackaged meals and compatible cookbooks. No wonder why most people can’t lose weight and have given up on their goal all together. The How Is Fat Burned Facts you are about to discover puts the fun back into losing weight and feeling great because it comes off so fast without sacrificing ANY of your favorite foods! The best part about How Is Fat Burned Facts for Rapid Weight Loss Results is that exercise is not required; you only have to diet 3 days out of the week which allows you to take off on weekends and has been proven by thousands that you can easily lose up to 6 pounds per week without discipline. The secret to succeeding with any weight loss plan is that it MUST maximize your metabolism rather then require you to cut back on calories or carbohydrates. Most traditional diets like the ones listed above not only require super-human self-discipline but are NOT designed to maximize your metabolism for long lasting rapid results. Trying to lose weight with a sluggish metabolism is like attempting to climb Mount Everest with a table tied to your back! You know this to be true because we have all met someone who can eat whatever they want all day long and yet they stay twig skinny. Some people were blessed with fast metabolisms but for the Millions that weren’t there is the “The Lazy Way to Lose Unwanted Weight” which discloses exactly How Fat Is Burned and will get your body burning fat as fast as a fire place burns up newspaper. I went from a size 16 to a size 6 in 8 weeks dieting only 3 days a week instead of 7 with the “The Lazy Way to Lose Unwanted Weight” and so can YOU! The only thing that has kept you from losing weight in the fastest, most pleasurable way possible was that you never knew how to safely maximize your metabolism. “The Lazy Way to Lose Unwanted Weight” shows you how to instantly maximize your metabolism with the secret food source that traditional diets do NOT permit on their plans. If you like cookies, candy or ice cream then you are going to LOVE the secret food source that will get you to your goal weight faster then any other diet on the market today! “The Lazy Way to Lose Unwanted Weight” works extraordinarily well for both men and women alike plus the secret food source you will learn all about in is also the # 1 product for those on restrictive diets due to diabetes. You have nothing to lose but up to 6 pounds per week with “The Lazy Way to Lose Unwanted Weight”! Lose Weight, Feel Great & Love Your Looks!